Learning Resources Primary Science Lab Set Only $14.39! You are here: Home / Great Deals / Amazon Deals / Learning Resources Primary Science Lab Set Only $14.39! While the bigger kids are headed back to school take this opportunity to spark an interest in science with your little guys! Head to Amazon to checkout the Learning Resources Primary Science Lab Set for Only $14.39! 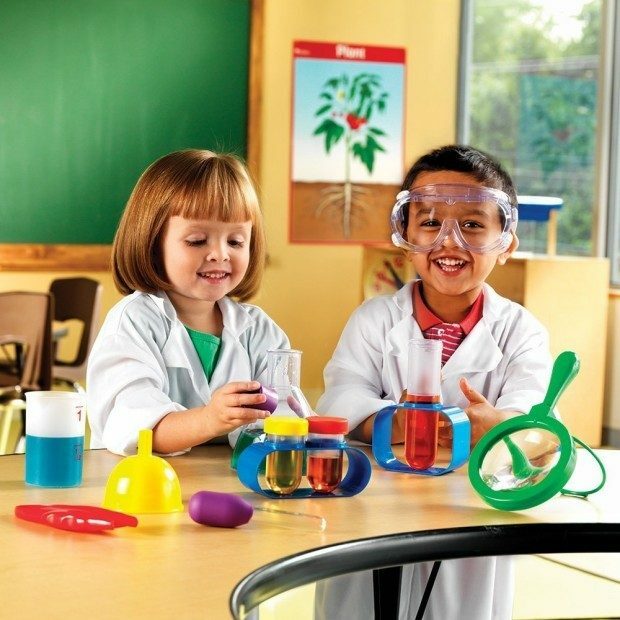 The Primary Science Lab Set features real science tools perfectly sized for little hands. This colorful set entices children to experiment and explore, encouraging early hands-on science investigations at the kitchen table. Includes beaker, magnifying glass, funnel, test tubes and more, all made of durable plastic. Also includes Activity Guide and cards with fun, easy-to-do experiments. FREE Shipping for Prime members or get FREE Shipping on orders of $35+! Thanks, Hot Deals and Hot Meals!